We're not sure we see the resemblance. Last night's 0-0 draw at the Aviva Stadium between the Republic of Ireland and Northern Ireland was a fairly dull affair. 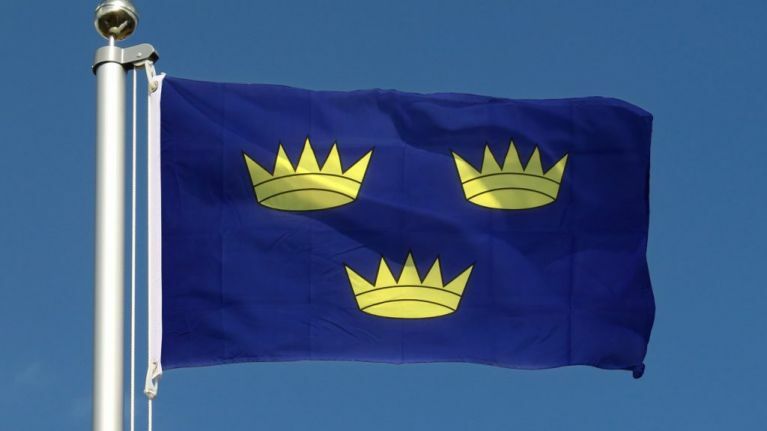 Still, there was plenty to talk about on social media after a Northern Ireland fan mistook a Munster flag for a flag bearing the likeness of a man in a balaclava — hearkening back to old IRA imagery. 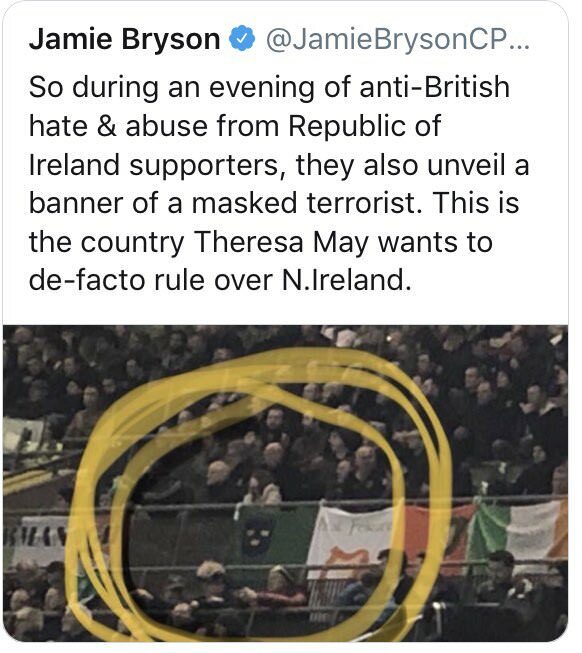 Jamie Bryson, who identifies himself as a unionist activist, wrote on Twitter "So during an evening of anti-British hate & abuse from Republic of Ireland supporters, they also unveil a banner of a masked terrorist. This is the country Theresa May wants to de-factor rule over N. 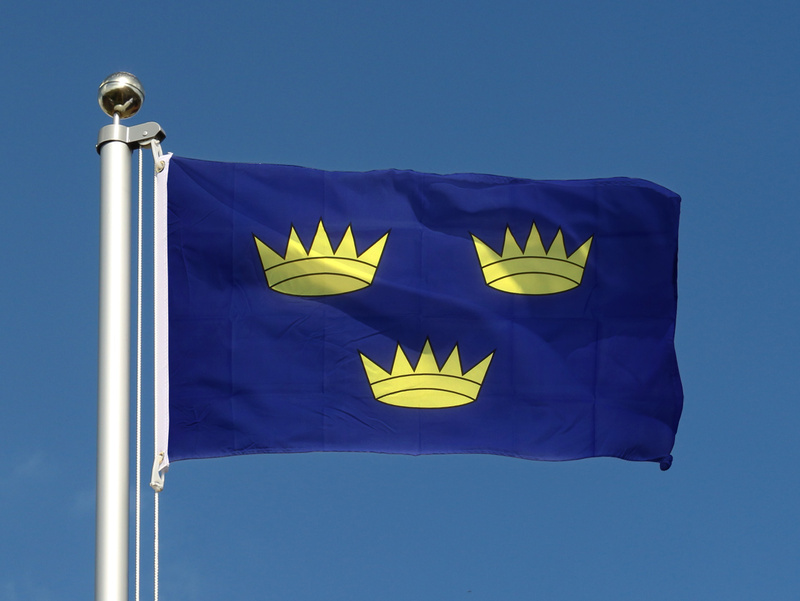 Ireland." You can see for yourself what exactly Bryson was referring to. Bryson has since caught his mistake and deleted the tweet, writing: "Well, it appears I may have made an error tonight & mistaken a Munster crest for a masked IRA man. Even I have to laugh at that one."